Here are a few of my favourite articles and blog posts from January 2018. 1. How to make a cold frame. Those who garden also seem to be quite handy too. This is a useful skill when you have an allotment garden as making things from bits of wood and other bits and bobs are of tremendous help. Here’s a practical blog from The Propagator on how to build a cold frame for hardening off plants and protection for all those extra seedlings you promised you were not going to sow. You know I’m talking about YOU! 2. How to make recycled paper pots for sowing and planting. Perfect timing from Steph here. When you can never have enough pots for all those seeds you’re busting to sow, paper pots to the rescue. Super simple and as Steph explains, they are biodegradable and you feed those wiggly friends of ours too. What a treat! 3. Comparing Vegetable Seed Prices. As gardeners, the best cure for the January blues is the feast of seed catalogues that throw themselves onto our doormats as we enter the New Year. As well as the huge number of varieties they differ in price across brand. Matt set himself the challenge of doing some research and calculating which seed companies are providing the lowest ‘cost per seed’ when averaged across 12 popular vegetable seed varieties. The results are all here. What a swot! 4. Grow your own beans. New to the blogging arena is Sasha. She also likes Beer O Clock too. That’s two ticks in my book. One section of Sasha’s blog is where she plans to write about her favourite vegetables to grow, the varieties she has tried or is trying and everything she learns along the way. Last month, Sasha looked beans. 5. Growing oca or New Zealand Yam. Sandra and Andrew are continuing on their quest for veg with a fantastic blog about their experience of growing oca. They are fulfilling their goal of trying interesting and unusual veg and in this post, they are loving the yam. 6. Trialling Thompson & Morgan seeds – Veg. After her visit to Glee last year and sweet talking a lovely stranger from the Thompson & Morgan stand, Lou came away clutching some lovely packets of seeds to try out in the garden. In this post, Lou lists all the veg she is excited to try this year and tells us all why she can’t wait for each one to harvest. Ps. Lou is brilliant. Feisty. But brilliant. 7. Allotment Planning Notes. Darren makes a hugely important point in this post. Winter isn’t really about downtime on the plot. It’s an opportunity to see what you have and look forward and plan for the coming year. This is a wonderful journey through the thoughts and reconciliation of an allotment holder. It’s a journey that all of us should make right now, while we have the chance. 8. Tomato Grow List for 2018. Just when you thought you were growing far too many tomatoes, Alan comes along! If you love tomatoes and if you have room, then Alan has a farm load of tomatoes he’s cataloguing, sorting and planning to grow on the allotment this year. How many are you growing? 9. Plot progress. Sharon lost her plot key twice in one month. What do you do? Stick it on a lanyard! Then, you get to the plot and tell everyone what you’ve achieved. It involves the usual suspects like raspberries and the mystery of the buried egg. Spooky. 10. Changing harvests 2017. New Year is about retrospection and change. Change in the sense of the bounty of harvests an allotment provides through the entire year. Sit back and enjoy this photographic journey through a monthly harvest on Green Lane Allotments. You can read all the Sharpen Your Spades Top 10 posts here. 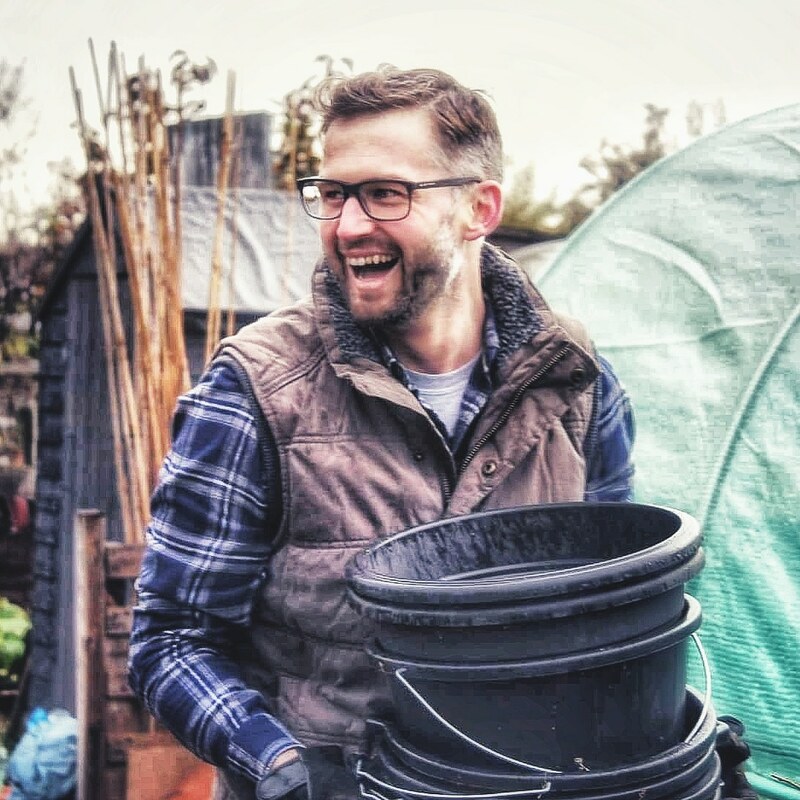 I love to read as many grow your own blogs as possible, especially by new allotment holders, kitchen gardeners and grow your own enthusiasts. Drop me a comment below with a blog I might be missing out on and I’ll pop it in my reader. Follow Sharpen Your Spades! You can receive my post by email by subscribing to the blog (Right or Below) or you can follow me on BlogLovin. Top of the morning to you sir, thanks for the mention! All very good blogs and well worth reading. The thing I believe with blogs is they tell the story of real gardeners in real situations all of which vary across the board. I agree. There are so many great blogs to read i struggle picking ten each month.